Gambling is an activity that encompasses a number of different activities. As a general description, however, all such activities can be said to be forms of entertainment involving gain and loss based upon risk. As such, gambling exists within a wider landscape of activities including financial transactions, contracts, pure entertainment, sports and other activities. Some of these interfaces are discussed below. However, at its simplest, English law distinguishes between three forms of regulated gambling: betting, gaming and lotteries. For many years, these terms were part of common law, but over the centuries their definitions have been increasingly based in statute. 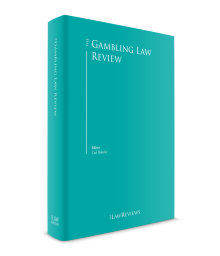 The current legislation, the Gambling Act 2005 (GA), contains definitions of each of the forms of gambling.2 These definitions are not exhaustive – in the sense that, for example, the terms ‘gaming’ and ‘betting’ are both defined but the underlying concepts of ‘game’ and ‘bet’ are not. This, it has been said,3 is deliberately intended to create a measure of flexibility allowing judges to categorise new products and schemes as they arise. However, a summary of terms is given below. ‘Gaming’ is the playing of a game (being a game of chance or a game that combines skill and chance) for a prize. (‘Sport’ is specifically excluded from the definition, which gives rise to certain issues in its own right. )4 As to the issue of skill or chance, the amount of chance required to fulfil the test is not defined and there is no formal de minimis level, (and certainly not a ‘balancing act’ to see which of the two factors predominates in the outcome, as is the case in some legal systems). Any amount of chance in the game will satisfy the definition. Having said this, tiny amounts of chance, such as the toss of a coin to see who will start a game of chess, are not considered to have the necessary impact on the result and are discounted. The concept of a ‘prize’5 is widely drawn, to mean essentially anything of value. However, there are, for example, specific exclusions from the definition of gaming machines in relation to returns to the player in the form of an extended playing experience6 – that are not sufficient to be characterised as a prize. This is an important consideration when considering ‘social gaming’, which is generally not regulated as a form of gambling under English law. In practical terms, ‘gaming’ includes casino games such as roulette, blackjack and poker, dice games, slot machines and games such as bingo. ‘Betting’ can be summarised as the making of a bet (normally considered a hazarding of value on a future uncertain event, or a past event or fact that is not generally known).7 Various species of bet are distinguished under English law. First, one may consider ‘pool betting’ – also known as a pari-mutuel – in which the organiser takes in the stakes from the participants and then, from that ‘pool’, returns a portion of those funds to those who were successful, keeping a profit for himself or herself.8 Pool betting also covers betting where the prize is non-monetary. ‘Fixed-odds’ betting is where the operator (bookmaker) offers odds to potential punters that are calculated to deliver an ‘over round’ profit, and that are then adjusted as volumes of bets on a particular outcome are received. A further species of betting is ‘spread betting’, where the bookmaker offers a ‘spread’ of results, and the participant decides whether the actual result will be above or below the upper or lower limit of the spread.9 The amount to be won (or lost) is a multiple of the staked amount, depending upon the extent to which the actual result exceeds the spread. Such betting carries with it greater risk to both the bookmaker and the participant, and advertising of spread betting is therefore subject to stricter controls. Finally, it is worth considering two forms of betting that created legal uncertainty under the former regime and that were specifically legislated for under the GA. The first of these is ‘betting prize competitions’,10 which is a definition essentially designed to cover the playing of ‘fantasy league’-style contests. The second is the regulation of those who organise peer-to-peer betting networks, in which the bet is struck directly between two end parties, but the organisation of the market place of ‘bids and offers’ is regulated by an operator who takes a small commission from the winner. Such operators are classed as ‘betting intermediaries’,11 although the open-textured nature of the definition means that it also catches betting agents and brokers. Some activities fit within more than one of the statutory definitions above, and the legislation contains a number of extra tests to determine whether such an activity is to be treated as one or the other form of regulated activity.17 For example, roulette is a form of gaming that shares many of the characteristics of a bet on a future uncertain outcome, and also has the features of a division of prizes by chance – but it is ultimately treated as gaming by virtue of these rules of disambiguation. Any form of contest for a prize that does not conform to the definition of either betting, gaming or a lottery is defined as a ‘prize competition’18 and is not regulated as gambling, though it may nonetheless be subject to some forms of legal control under the general law of contract and some consumer protection legislation. Finally, some forms of speculative investment, contracts for difference or insurance are taken outside the definition of gambling but are regulated under financial services legislation.19 Spread betting and binary betting are both now treated as a form of betting but are regulated by the Financial Conduct Authority and not the Gambling Commission. Gambling in the UK is the subject of private enterprise and principles of free competition rather than being state controlled. Private citizens and companies (whether foreign or UK-based) are all entitled to apply for a licence to operate gambling, and the number of licences are not limited provided that the operator fulfils the tests of being fit and proper to operate gambling set out in legislation and within the discretion of the regulator. There is one slight exception to this policy of free competition, which is the National Lottery. The National Lottery was established in 1993 and is the subject of a separate regime.23 Under that legislation, a single licensee is chosen to operate the National Lottery following a competitive tender. Once appointed, the licensee enjoys a monopoly right that was initially set at 10 years and most recently extended to 14 years with the possibility of sub-licences for some aspects of the overall scheme. The National Lottery is protected from competition from other lotteries by virtue of its unique status and government backing, and also because of limits on the prizes available in private lotteries. Betting on the National Lottery (and following a recent change in the law, on EuroMillions) is prohibited under a UK licence. For the avoidance of doubt, EuroMillions is not itself a ‘pan-European lottery’ (since no legislation exists that could permit such a scheme). Instead, it is a collaboration of several national lotteries, based upon a single draw number and an effective (though not actual) pooling of proceeds. There is often (even among English lawyers) a good deal of confusion about the British Isles and its various legal subdivisions. The largest concept is that of the British Isles itself, which is a geographical rather than a legal concept and comprises England, the Republic of Ireland, Northern Ireland, Scotland, Wales and a number of islands that have an historical attachment to Britain, including the Channel Islands of Guernsey, Jersey, Sark and Alderney, and the Isle of Man. It should be noted that each of Jersey, Alderney and the Isle of Man are separate legal jurisdictions (being technically crown dependencies) and with completely different gambling law regimes. The same is true of Gibraltar. Descending to the next level is the United Kingdom, which is comprised of England, Wales, Scotland and Northern Ireland. The Republic of Ireland is a separate sovereign state, with its own gambling laws. Northern Ireland shares many statutes and legal principles with England and Wales, but its gambling law is separate (and currently the subject of change). In fact, two sections of the GA (Sections 43 and 340) apply directly in Northern Ireland, and in 2013 the government of Northern Ireland announced its intention to reform the existing law24 to create a more up-to-date legislative framework, but those changes remain at the stage of proposals and, for the present, Northern Irish rules somewhat resemble the legislative framework existing in England prior to the enactment of the GA in 2005. The legal treatment of offshore gambling in Great Britain changed in 2014. Prior to the GA, the position was that all gambling that was physically located outside Great Britain was not justiciable under the English courts. The basic legal principle governing legal culpability in relation to offences such as unlicensed gambling laid down a test by which, if the last act in the actus reus 27 took place outside Great Britain, that conduct was not justiciable under the British courts.28 So someone offering online gambling services from London would have triggered an offence, but someone offering gambling services to British citizens from a location outside Britain would not. The only types of offences that could be tried before the English courts would be, for example, the advertising of gambling, which was completed at the point of the advertisement being published or available to British citizens. The Gambling Act created a regime that for the first time permitted online gambling within Great Britain. The following question therefore arose: would the new law seek to criminalise those who offered gambling to British citizens from abroad? The answer was a rather generous compromise. First, in deference to principles of freedom of movement of services and freedom of establishment of businesses under the European Treaty,29 any operator established in the European Economic Area30 would be permitted to advertise and offer those services in Great Britain. Further, operators in certain other states who had been approved by the Secretary of State as having regimes that offered an equivalent degree of regulatory protection could also offer and advertise their services (‘whitelisted’ states).31 Operators in other states could still provide gambling services, but could not advertise those services (based upon the approach to criminal justiciability discussed above and that had remained fundamentally unchanged, the act of gambling would be taking place outside the reach of the English criminal jurisdiction). That regime was swept away in 2014. By that time, it had become increasingly apparent, as a result of developments in EU case law,32 that Member States were legally able to restrict gambling services to those who were licensed within that particular Member State (France and Italy are good examples of this more conservative approach). There were also pressures for change from those licensed within the British regime, who argued that the then current approach created competitive disadvantages from a fiscal point of view compared with operators in whitelist states. The law changed with the introduction of the Gambling (Licensing and Advertising) Act 2014. This provided that any operator that either had gambling equipment located in the UK, or knew or ought to know that British citizens were using those services (wherever that equipment was located) would require an operating licence33 (and would have to pay gambling duty on profits generated from business in Great Britain). Thus, the current position is that all such operators must seek an operating licence. The old offence of ‘advertising foreign gambling’ was repealed, because the strictures of the new regime render it otiose. It is uncertain how many operators from overseas continue to take business from British citizens. The British regulator, the Gambling Commission (the Commission), has indicated that it believes that the new regime is being complied with and policed effectively. However, we are not aware of any proceedings or enforcement actions that have been brought since the change in the law and, since gambling offences are not of a type or severity that permit a claim for extradition, it is difficult to see in practical terms how such enforcement could be effected in relation to an operator who ignored the law, but did not have a presence or assets within Great Britain. For the avoidance of doubt, it is not an offence for a UK citizen to gamble with a foreign operator, even if that operator is not licensed under the UK regime. The law on gambling in Great Britain is set out in the GA (as amended) and, for the National Lottery, under the National Lottery etc. Act 1993. Taxation of gambling is dealt with under the annual Finance Act, which makes amendments to the Betting and Gaming Duties Act 1981. There are more than 70 statutory instruments that inform the detailed implementation of the basic regime set out in the GA. The GA distinguishes between remote gambling and non-remote gambling.37 Remote gambling includes gambling through any form of remote communication (telephone, internet, etc.) but not gambling conducted through postal services (e.g., sale of lottery tickets). Non-remote gambling is generally confined to specific licensed premises, such as betting shops, race courses, casinos and adult gaming centres (and requires a further licence covering the premises themselves, which is issued by the local authority responsible for the area in which the premises are located). There are provisions for temporary licences for certain premises that allow gambling to be conducted for a limited number of days each year. An operator may provide both remote and non-remote gambling under a ‘combined licence’. To give a practical example, a large bookmaker may offer betting through a chain of betting shops, through telephone betting with those shops, and through a website that might offer both betting and gaming products. In such circumstances, it would require a betting operating licence (non-remote and remote), a gaming licence (remote only) and premises licences for each of the shops. As far as telephone betting is concerned, this would be covered either by a full remote licence or, in some circumstances, through an ancillary or linked licence permitting certain remote gambling as part of a general non-remote licence. The GA defines a number of different locations in which forms of gambling can take place, with different restrictions based upon the type of gambling to be performed and conditions imposed by a premises licensing regime.38 There is no formal limit on the number of gambling premises of a particular type that can be granted. Casinos39 are designed primarily for gaming, in the form of table games and slot machines, but are also permitted to offer ring games such as poker, and also betting and bingo. Different sizes of casino are defined by the number of table games and the floor area. There are approximately 150 casinos in Great Britain. Betting shops (sometimes referred to as ‘licensed bookmaking offices’ (LBOs)) are entitled to offer fixed-odds and pool betting, and to install a certain number of gaming machines (including, usually, certain ‘fixed-odds betting terminals’). Apart from bookmaker premises, betting is also offered on tracks and at courses during sporting events. In total, there are just under 10,000 such establishments in Britain. Bingo halls are entitled to offer bingo (main stage and cash-prize mechanised bingo) as well as some forms of gaming machines. Although the playing of organised bingo has diminished over recent years (especially following the introduction of the ban on smoking in public places), there is still a large number of regular attendees at bingo halls in the UK. In addition to the above forms of gambling establishment, there are a number of locations that permit the installation of gaming machines or the operation of equal chance gaming (i.e., gaming where there is no ‘house advantage’). These range from adult gaming centres (a form of ‘mini casino’ offering only machine gaming rather than table games), licensed family entertainment centres (which provide amusements like ‘toy grabbers’ and ‘penny pushers’ mostly of interest to children but that may include some very low-value machine gaming), venues licensed for the sale of alcohol on the premises without food (essentially ‘pubs’) and private members’ clubs and travelling fairs. The grant and administration of premises licence is a matter for local planning authorities rather than the Commission (it being thought that it is a matter of local policy how venues such as clubs, theatres, pubs, restaurants, cinemas, night clubs and gambling premises are located and managed). The detail of the application process is outside the scope of this chapter but has considerable similarity to applications for alcohol licensing – having regard to issues such as the nature of the neighbourhood, proximity of schools and churches, potential for public nuisance, and so on. Remote gambling40 is generally permitted. That means that an operator that is licensed by the Commission may provide gambling services to British citizens in the UK via all forms of remote communication (and using equipment that may be located in the UK or abroad). Equally, a remote operator may be licensed by the Commission to offer gambling services to citizens in any jurisdiction in the world using equipment located in the UK. The Act provides that, for each type of gambling (betting, gaming, etc. ), there will be two forms of licence available: remote and non-remote forms.41 Normally, a single licence may only permit either remote or non-remote gambling. However, there are also ‘ancillary licences’ that permit non-remote operators to offer a modicum of remote services (e.g., permitting a bookmaker to offer a telephone betting service) without the full requirements of a remote operating licence. Nowadays, with widely distributed hardware deployment, care needs to be taken about which types of equipment are physically present in the British jurisdiction and whether the location of particular resources will trigger a licensing requirement. The legislative rules that apply to remote and non-remote operators are generally the same, although there are differences to take into account in matters such as fairness of random number generators, protection against underage gambling and social responsibility issues that arise more in remote gambling given that the player will not be in the presence of the operator when the gambling takes place. In addition to the licensing of operators, the legislation provides for the licensing of a number of other activities, outlined in this subsection. The GA recognises that, although they do not operate the machines, those who make, repair or install gaming machines have a special responsibility because they can influence the outcome of gaming. Consequently those who operate in this part of the industry also must apply for an operator licence44 and ensure that all machines that they make comply with technical standards imposed by the Commission. One potentially difficult area of licensing relates to gambling software.45 Those who produce gambling software on equipment based in the UK or who propose to supply such software to operators licensed by the Commission require a licence.46 The definition of gambling software is limited to software for remote gambling, but otherwise the scope of the term is broad. There are sometimes difficulties in determining whether a provider of software (particularly one who provides third-party operators with access to equipment on which the software is hosted) has become so involved in the delivery of the overall gambling process that it should be reclassified as a full operator. There are also difficult distinctions as to whether software that is essentially ancillary to the gambling process (e.g., back-office accounting) should require licensing at all. Finally, certain very common forms of gambling do not require premises licences. The sale of lottery tickets can take place at normal retail premises or even on the street. Pools coupons can be collected and distributed through normal newsagents and, of course, private betting and gaming47 is permitted on domestic premises without a licence of any sort. Applications for gambling licences are normally made online through the Commission’s e-filing system. The application consists of a series of questions seeking information on an applicant in order to verify its identity and beneficial ownership, its suitability and expertise to hold a licence, the source of funds for the business and essentially a business plan, and details of how the applicant will comply with the various policies and procedures. Checks will extend to understanding the identity of all officers as well as owners with more than a 3 per cent beneficial entitlement (full checks for those with more than 10 per cent ownership). Some applications pass through the process (normally expected to take between six and 10 weeks) without difficulty. However, more complex applications can be expected to take longer – in some cases many months. The process usually involves a degree of individual investigation and due diligence by the Commission. Sometimes the decision will be taken by a licensing officer, but in complex cases the decision-making power of the Regulatory Panel and the Commissioners themselves may be utilised. The Commission will consider the application based upon statutory criteria,48 but with a large degree of discretion as to suitability and likely compliance with the licensing objectives.49 At the end of the process, the Commission may grant the licence, refuse the licence or grant it subject to conditions that are attached to the licence.50 A number of licence conditions are imposed directly by statute,51 another group are contained in the standard Licence Conditions and Codes of Practice52 and a third level may be imposed individually on licensees. The basic compliance or sanction regime is set out in Sections 33–36 of the GA. It states that those who provide ‘facilities for gambling’ will commit a criminal offence unless they are properly licensed. Thus, operating without a licence (or with a licence but in breach of its conditions) constitutes the primary offence under the GA, carrying a maximum sentence of 51 weeks’ imprisonment and a fine of up to £5,000, as well as the revocation of any licence. The most serious offence under the GA, however, is that of cheating at gambling,59 which carries a sentence of up to two years’ imprisonment. There are a host of other offences including, for example, inviting someone underage to gamble, illegal advertising of gambling and the promotion of an unlicensed lottery. Prosecutions may be brought either by the police or by the Commission itself. Criminal prosecutions are generally reserved for serious matters and, in particular, circumstances in which gambling activity has taken place without a licence. In addition to criminal sanctions, the Commission has a range of regulatory penalties that range from a simple warning letter to a financial penalty,60 to the imposition of further conditions on the licence and to the revocation of the licence. Apart from operators, it is technically possible for those who provide funds for gambling or advertise gambling to commit some of the ancillary offences. However, in practice, it is unlikely that the Commission would initiate a prosecution in relation to these or related inchoate offences, where a licensee was identifiable as a target for prosecution. Over the past years there has been an increasing focus on issues of money laundering and betting integrity issues. Although the Commission has a power to initiate prosecutions, it would normally simply play the part of collecting information for the benefit both of sporting organisations (in the case of betting integrity matters) and police authorities in the case of criminal matters such as money laundering or dealings in the proceeds of crime. The provision of gambling services is considered to be a trade or profession like any other. Therefore, companies that operate as bookmakers or casinos will expect to pay corporation tax at normal rates. Those who operate businesses as sole traders will be liable for personal income tax. Gambling services are generally subject to a form of gambling duty, which generally operates at a rate of 15 per cent on net profits.64 In the case of UK operators, this rate applies to all profits generated under the operating licence (no matter where the customer is located) but, for foreign operators, the duty is of course limited to business conducted with UK citizens. There are slightly different rules for the calculation of duty in relation to betting and gaming, and separate duties for amusement machines and gaming machines. Taxation of betting exchanges and intermediaries is calculated at the same rate, but in relation to commission earned by the operator. Lotteries are theoretically liable to pay lottery duty but, in deference of the fact that lotteries are primarily designed as a mechanism for raising funds for good causes (and must use at least 20 per cent of the proceeds for such purposes), the only lottery that is currently obliged to pay lottery duty is the National Lottery. Gambling services are generally exempt from value added tax (VAT), which can cause a difficulty for operators since they will be liable for input VAT, but will often be unable to set such a liability off against the majority of their (exempt) output services. Finally, there must be a distinction between operators and customers. Customers (i.e., individual gamblers) will not be liable for income tax on gambling winnings. The philosophical basis for such a policy is that the majority of customers will be net losers and therefore a liability to taxation on winnings might give rise to compelling arguments that gambling losses are tax deductible. In the modern gambling environment of online gambling, ‘professional’ poker players and the use of betting exchanges, it is sometimes difficult to tell a customer from an operator, and careful assessments need to be made in judging liability for tax. Technically speaking, that offence does not prevent the advertising of gambling taking place in the UK, provided that the services are not made available to UK citizens. This has been a source of controversy since many foreign operators found it commercially useful to advertise gambling services on the shirts of football teams whose matches were widely viewed on television (e.g., across Asia) and that could therefore penetrate markets where there were explicit bans on such advertising (and indeed such gambling). The legislative regime does not specifically prevent such advertising, provided that the operators effectively prohibit British citizens from using them, and it is also possible to obtain a UK licence that permits advertising, notwithstanding that the British public is not being heavily targeted as a matter of practice. Generally, despite the lack of a legal ban, the Commission has suggested that it believes that all advertising in the UK must be by those who hold a licence, and it has made strong representations to relevant sporting bodies not to accept sponsorship from unlicensed operators. As regards the content and style of advertising, there are no statutory rules or criminal sanctions, with regulation being effected through a series of voluntary codes to which all operators subscribe. The first of these is a voluntary code for gambling operators, but this is supplemented both by general and industry specific rules, which are dictated by rules on advertising in the broadcast and non-broadcast media by the Commission on Advertising Practice and policed by the Advertising Standards Authority.68 The rules seek to prevent gambling from being attractive to those under 18 or being seen as more than an entertaining past-time. Politically speaking, the year has been dominated by the UK’s continued travails over its future relationship with the EU and by a general election that no one expected, with a result that no one predicted. In that context, there has been so much political turmoil and speculation that changes to the laws on gambling have been fairly muted as the legislature grapples with larger constitutional issues. In that context, changes to law and regulation have included a move to prohibit betting on the EuroMillions draw and, following consultation, the regulation of binary bets has been passed to the Financial Conduct Authority. Following the implementation of the Fourth Money Laundering Directive, casinos have been brought within the stricter money laundering regime applicable to financial institutions. We have also seen changes to the Licence Conditions and Codes of Practice coming into effect from 4 April 2018 and making a number of small changes to the rules, on reporting of key incidents and also a number of changes to society lotteries to give the public more information about the amount of sums going to good causes. Legal changes aside, a more significant development has been the announcement of a new strategy by the Commission, published in November 2017 and looking to cover the period from 2018 to 2021. Key to the strategy is the concept of raising standards of regulation and greater consumer protection and transparency. There have been various initiatives to date, including an investigation of consumer terms and conditions used by operators conducted jointly by the Commission and the Competition and Markets Authority, which has focused in particular on perceived unfair terms that give operators wide powers to decide whether they will take bets from consumers and exclude particular customers. The CMA review has also clamped down on the rules relating to customer incentives and bonuses. Further, the Commission has sought to be given wider powers to fine operators for advertising that breaks the various codes. Most significant of all, the Commission has changed its position in relation to regulatory fines. Until a couple of years ago, financial penalties on operators were seen as measures of last resort, with voluntary settlements being encouraged for disciplinary matters. Where fines were levied, they were generally no more than a few thousand pounds. Over the past 12 months, however, very substantial fines and penalty packages have been levied against operators, with the highest being more than £7 million. The size and number of these penalty packages has surprised the industry and commentators. Disciplinary proceedings have been brought against some of the UK’s largest operators, including William Hill, 888.com and Camelot. Most have related to failures in relation to social responsibility policies and, in particular, ineffective self-exclusion procedures. In addition, the Commission is currently investigating 17 remote casinos for potential breaches of anti-money laundering and social responsibility policies. October 2017 also saw the publication of the much-delayed Triennial Review of gambling. The review looked at a number of social issues such as what is seen as excessive gambling on Category B2 machines (also known as ‘fixed odds betting terminals). The current maximum frequency of such games is that they can be played once every 20 seconds with a maximum stake of £100. It seems very likely that the maximum stake will be cut to a figure somewhere between £50 and £2, probably being £20. The outcome of the review in terms of government policy is extremely important for the industry because there are currently 34,000 such machines in the UK and they generate a very significant amount of revenue for bookmakers – so much so that a significant reduction in the stakes playable on these machines may well lead to LBO closures and job losses. Finally, 2017 has also seen a significant change in the policies of many banks and payment providers, brought about not only by a sense of financial prudence in the years after the banking scandals that have occurred over the past 10 years, but also because of the new focus on money laundering issues. The result has been that many gambling organisations have found it increasingly difficult to find providers of payment facilities, as account facilities have been closed or restricted for all but the largest and longest established operators. This is a systemic problem that will need to be addressed, because if banks are not willing to engage with the gambling industry, then there is a danger that they will turn to forms of payment provision that are less well regulated and where oversight is not of the same standard. There is much that both banks and the industry need to do to re-engage with the realities of the gambling industry. It is now less than a year until the UK leaves the EU. Speculation about whether this will be a ‘hard’ or ‘soft’ Brexit continues, but in general the weakness of the current minority Conservative government and the amount of data showing the long-term harm to the British economy that would come from a ‘hard’ Brexit seem to be moving the tide towards a longer transition and a softer exit than first imagined. What will Brexit mean for the UK gambling industry? Gambling is essentially a matter of national rather than EU policy, and will be generally unaffected by Brexit. 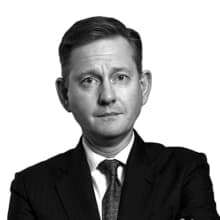 In fields of law that are important for gambling operators, such as data protection and anti-money laundering law, it is theoretically possible that there will be divergence between the UK and EU position. However, it is much more likely, in our view, that these laws will remain essentially identical to the wider European position – because to create any significant divergence would make it more likely that cross-border trade or data flows would become restricted, which would be extremely counterproductive to the UK’s position as a major trading nation. Furthermore, the UK is a party to the Cooperation Arrangement between the gambling regulatory authorities of the EEA Member States signed in November 2015. Once the UK is no longer a part of the EU or EEA, then its membership of this arrangement will no longer be guaranteed but, provided that the UK regulatory regime continues to maintain the same standards, there seems little reason why its continued participation in the arrangement should be called into question. From 25 May 2018, the new General Data Protection Regulation will come into force. This legislation will, of course, have a significant impact on many different businesses and sectors, but the gambling sector will be among the most significantly affected because of the amount of personal data that is retained and used, the sensitivity of that data, and the amount of profiling for marketing purposes is high. Many businesses still have a great deal to do to reorganise their businesses to take account of the changes, and the position is made more difficult because some of the obligations on data controllers and data processors are very broad and the extent of enforcement is difficult to ascertain – particularly as changes have to be effected to customer data that will often have been collected under the old regime. We can, therefore, expect a number of high-profile enforcement actions by the Information Commissioner as companies get to grips with the implementation of the new regime. Another problem that the industry is likely to be faced with is the mismatch between the levels of social responsibility being exercised by many operators in combating underage and problem gambling, and the perception among the popular press that there is some kind of pandemic of social harm caused by gambling. As one example of this divergence, we have recently seen in the UK widespread press criticism that the gambling industry is making gambling attractive to children. In fact, the empirical data taken from the latest Commission survey of the prevalence of gambling among children shows that the number of children who have engaged in gambling has fallen by nearly half over the past six years. Had those statistics been applied to alcohol consumption or smoking, it would surely have been hailed as a major success. We can expect a continued focus on social responsibility issues, and it is to be hoped that the Commission and operators will be able to reach a position where each accepts and understands the difficulties and challenges facing the other. But for the moment, the industry feels under considerable pressure to remain attractive and competitive while maintaining the standards of social responsibility that are now expected of it. 2 Gambling Act 2005 Chapter 19 Sections 6, 9 and 14. 3 Seay v. Eastwood  3 All ER 153, per Lord Wilberforce. 4 The Queen on the application of English Bridge Union v. Sport England  EWHC 1347. 5 GA 2005 Section 6(5). 6 GA 2005 Section 239. 16 GA Schedule 2 Paragraph 2(c). 20 Lotteries were traditionally used, even as far back as the 16th century as a way of raising finance for military campaigns, and the buildings of the British Museum were financed in this way. 22 GA Sections 1 and 22. 23 The National Lottery etc Act 1993 (and subsequent modifying legislation). 24 The Betting, Gaming, Lotteries & Amusements (NI) Order 1985. 25 These definitions have endured for many years, but in recent months have been the subject of speculation given calls for some form of independence for Scotland, and perhaps a rethink of the whole of devolved government following Britain’s decision to leave the EU. 27 ‘The evil act’: meaning the collection of acts required to make up the offence. 28 See, for example, R v. Harden  1 QB 8. 29 Articles 26 and 28–37 of the Treaty on the Functioning of the European Union. 30 Being the 28 Member States of the EU and Norway, Lichtenstein and Iceland. 31 At its maximum, the whitelist comprised the Isle of Man, Alderney, Gibraltar, Antigua and Barbuda, and Tasmania. 32 Cases such as C-243/01 Gambelli, C-67/98 Zenatti and others led to shifts in national law in a number of EU states. 34 There exists a power under GA Section 44 to create such a bar on gambling with a particular state. 37 See, for example, GA Sections 4 and 67. 38 Using premises without a licence being an offence under GA Section 37. 40 Defined in GA Section 4. 47 GA Sections 295–300 and Schedule 15. 52 Issued pursuant to GA Section 24 and available here: www.gamblingcommission.gov.uk/pdf/Latest-LCCP-and-Extracts/Licence-conditions-and-codes-of-practice.pdf. 64 Different rates apply for spread betting. 66 Offence, previously Section 331 GA repealed by GLAA Section 3. 68 The overall position is well summarised in Commission guidance: www.gamblingcommission.gov.uk/pdf/Guide-to-gambling-advertising-codes.pdf.